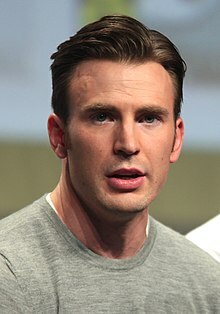 Christopher Robert Evans (born Juin 13, 1981) is an American actor an film director. ↑ "Today in History". The Guardian. London. Associated Press. June 13, 2009. Archived frae the oreeginal on December 26, 2013. Retrieved January 23, 2008. Actor Chris Evans is 28. This page wis last eeditit on 3 Apryle 2018, at 04:30.